The Russian Foreign Ministry has sharply criticized Washington's claims that Syria's government is planning a chemical attack in the country. The ministry's concerned that terrorists could take advantage of the threats coming from Washington, and carry out false-flag attacks to encourage US military action. RT's Caleb Maupin went to the U.S. State Department, to get their response. Saoedi-Arabië, Verenigde Arabische Emiraten, Bahrain en Egypte eisen onder andere van Qatar de banden met Iran te verbreken, te stoppen met de ondersteuning van de Moslim Brotherhood en andere radicale groepen, het staken van de nieuwszender Al Jazeera, het sluiten van een militaire basis waar Turkse troepen zijn gelegerd en om een boete te betalen. Lees meer. 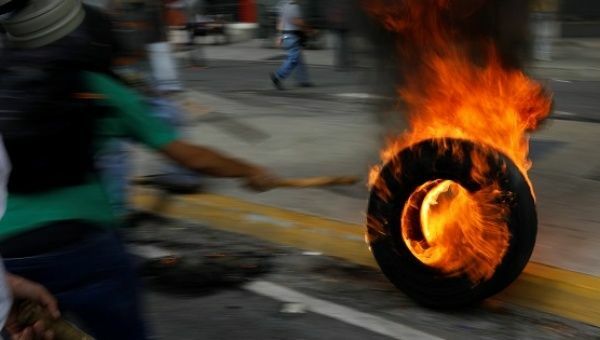 President of Venezuela, Nicolas Maduro, has denounced a 'terror attack' in which a helicopter flew over top government buildings shooting rounds and throwing grenade bombs. The weapons are said to be of Colombian and Israeli origin. Colombia's FARC rebels have finished handing over their weapons, bringing an end to Latin America's longest-running civil war. Following June's record rally, the world's most popular digital currencies bitcoin and ethereum continued their slide on Tuesday. Bitcoin was trading at $2,430, having given up 20 percent since hitting nearly $3,000 two weeks ago. Read more. De naam klinkt vrolijk - er zit tenslotte 'zon' in - maar op internet staan de wildste verhalen over oxybenzon. De stof zou kankerverwekkend zijn en schadelijk voor zeedieren. Het UV-filter is een belangrijk bestanddeel in veel zonnebrandcrèmes en andere cosmetica. ,,Het is geen kankerverwekkend middel", zegt VU-hoogleraar Milieuchemie en Toxicologie Jacob de Boer meteen. Maar om het nu naar hartenlust op je huid te smeren... Lees meer. Joe Hollis of Mountain Gardens shows an alternative way of heating a greenhouse using a wood fired hot tub, and then demonstrates how to make cuttings of Salvia Divinorum. According to a military source in the Golan Heights, this airstrike by the Israeli Air Force killed two Syrian Army soldiers and wounded three other military personnel. Read more. 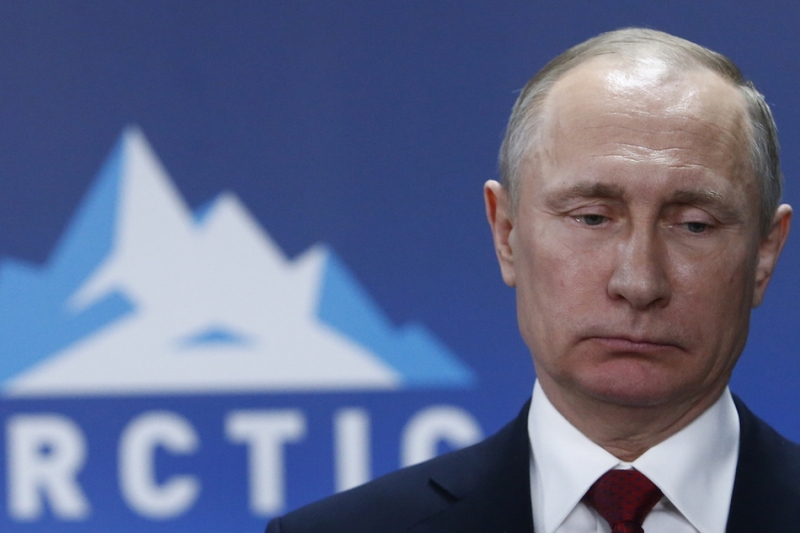 Russia only has only one percent of its chemical weapons stockpile left. The rest has been destroyed, according to the head of the country’s Federal Administration for the Safe Storage and Destruction of Chemical Weapons, Major General Valery Kapashin. Some “99 percent of the chemical weapons stored in Russia have been destroyed,” the high-ranking official said. Read more. 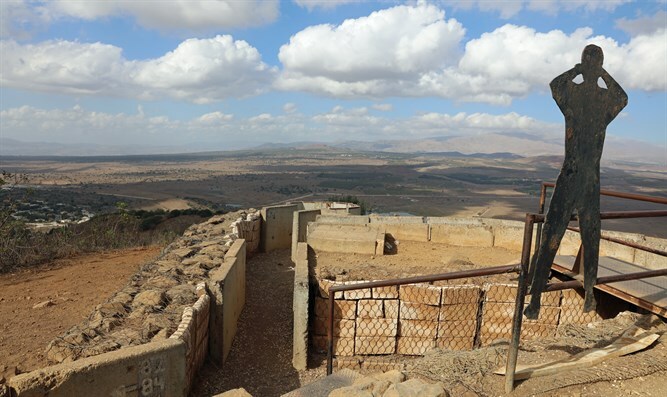 The IDF says spillover from the Syrian civil war is treated with the utmost severity, after several projectile land on Golan. Israel will not tolerate any violation of its security on any front, Prime Minister Benjamin Netanyahu said Saturday shortly after the IDF retaliated against Syria for the firing of 10 projectiles onto the Golan Heights. Read more + video. On Thursday evening, CNN investigative reporter Thomas Frank published a potentially explosive report involving an investigation of a Russian investment fund with potential ties to several associates of President Donald Trump. But by Friday night, the story was removed from CNN’s website and all links were scrubbed from the network’s social media accounts. Read more. Mitch Schultz, director of DMT: The Spirit Molecule, invites you to join this 45 minute excursion deep into the heart of the Peruvian rainforest to experience the magic of the 3000 year old plant medicine: Huachuma. Distilled in the lost tradition from the San Pedro cactus by the last master Huachumero, Huachuma was the sacrament that formed the foundation for pre-Incan civilization, the Chavin. Follow Aubrey Marcus (founder of Onnit) and a group of friends in this moving meditation that reveals the true transformative power of this sacred technology. 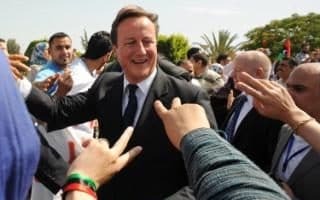 A Libyan terror suspect imprisoned in the UK was put in charge of guarding David Cameron on an official visit to Tripoli in 2011, it emerged last night. The disclosure is potentially embarrassing for British security services who would have vetted Mr Cameron’s protection detail on the trip. Read more. Reports from Syria say US-led coalition air strikes killed over 470 civilians in two provinces over the past month. The so-called Syrian Observatory for Human Rights says over 220 civilians, including 84 children were killed in the Daesh-held province of Dayr al-Zawr. According to the UK-based group, 250 others, including over 50 children, also lost their lives in Raqqah province, where the battle against ISIL still continues. The group says the death toll has more than doubled compared with the previous month. The overall civilian toll is said to stand at nearly two-thousand, some eight-hundred of them women and children. The latest report by the US-led coalition has put the number of civilians unintentionally killed at over 480 in Iraq and Syria. DEN HAAG - Deskundigen gaan in opdracht van het kabinet onderzoeken waarom steeds meer mensen hun kinderen niet laten inenten. Zij moeten zich onder andere buigen over de vraag wat de beste manier is om ongegronde angst voor vaccinaties weg te nemen,.. Lees meer. Iran is preparing to publish evidence that the US is supporting Islamic State. That's according media adviser to the Islamic Revolutionary Guard Corps (IRGC), Commander-in-Chief Hamid Reza Moghadam Far, in an exclusive interview with RT. Read more. Robert Fisk: "Zolang westerse legers aan de poort staan, zal het Midden-Oosten nooit vrede kennen"
Robert Fisk komt naar België om over het lot van de vele vluchtelingen uit het Midden-Oosten te praten – een fenomeen dat hij in zijn thuisstad Beiroet vanuit een heel ander perspectief bekijkt dan veel Europeanen. “Ik blijf me verbazen over de partijdige en hypocriete blik waarmee veel westerlingen naar vluchtelingen kijken. Want hoewel in het Midden-Oosten bijna alleen maar autocraten en dictators rondlopen, verdelen wij die regimes naar eigen goeddunken in good guys en bad guys. Lees meer. RT has obtained footage of the aftermath of the Saudi-led coalition's strike in Yemen, which killed up to 24 people on Saturday, when a local market was hit. The viewer may find the following images disturbing. Read more. The Syrian government says the plane was conducting a counter-terrorist raid, when it was brought down south of Raqqa. Read more. Israel has been regularly supplying Syrian rebels near its border with cash as well as food, fuel and medical supplies, The Wall Street Journal reported on Sunday. According to the report, the IDF is in regular communication with rebel groups and its assistance includes undisclosed payments to commanders that help pay salaries of fighters and buy ammunition and weapons, according to interviews with about half a dozen Syrian fighters. Read more. Russia and China are threatening America's so-called international order by challenging US military and economic dominance and refusing to submit to Washington’s global policies, says political analyst Scott Bennett in California. Move over bitcoin there's a new crypto on the block! Ethereum has become the second largest cryptocurrency on the market next to bitcoin but where did it come from and where is it going? In this video Dan Dicks of Press For Truth digs deep into the blockchain that is Ethereum to ask the question, is this the rival to bitcoin or is there more to this story? UN investigator says US-led air strikes on ISIL stronghold of Raqqa is causing a 'staggering loss of civilian life'. 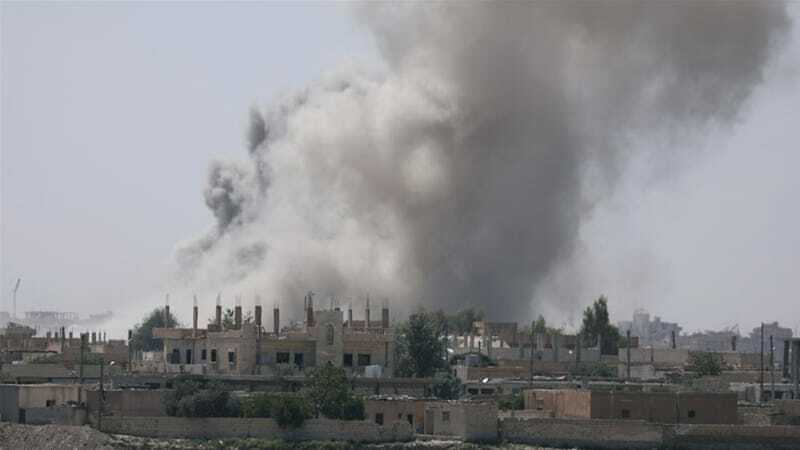 Intensified coalition air strikes supporting an assault by US-backed rebel forces on Syria’s Raqqa are causing a "staggering loss of civilian life", United Nations war crimes investigators have said. Read more. According to the Serbian legal team, it used depleted uranium munitions - causing a spike in cancer-related illnesses in the country over the last two decades. Chris Hedges - The nihilism and rage sweeping across the globe are not generated by warped ideologies or medieval religious beliefs. These destructive forces have their roots in the obliterating of social, cultural and religious traditions by modernization and the consumer society, the disastrous attempts by the United States to carry out regime change, often through coups and wars, and the utopian neoliberal ideology that has concentrated wealth in the hands of a tiny cabal of corrupt global oligarchs. This vast, global project of social engineering during the last century persuaded hundreds of millions of people, as Pankaj Mishra writes in “The Age of Anger: A History of the Present,” “to renounce—and often scorn—a world of the past that had endured for thousands of years, and to undertake a gamble of creating modern citizens who would be secular, enlightened, cultured and heroic.” The project has been a spectacular failure. Read more. While the government urged voters to back Puerto Rico becoming the 51st state of the United States, pro-independence groups called on people not to vote in a non-binding referendum they say is illegal and will change nothing. TEHRAN (FNA)- Deputy Chief of Staff of the Iranian Armed Forces Major General Mostafa Izadi announced that the country is in possession of evidence and documents proving Washington's direct support for the ISIL terrorist group. "We are facing a proxy warfare in the region as a new trick by the arrogant powers against the Islamic Republic," Izadi said on Sunday. Read more. 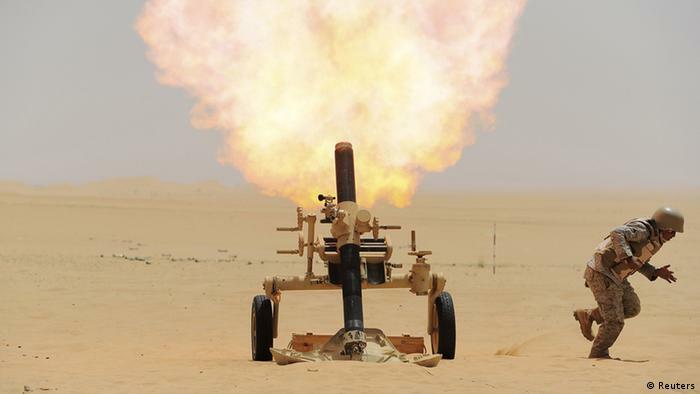 Zintan is said to be in uproar with firing in the streets after it was reported that Saif Al-Islam, Muammar Qaddafi’s son had been released and had left the town. Al-Ajmal Al-Atiri, commander of Zintan’s Abubakr Al-Siddiq brigade which had been holding the dictator’s son since it captured him fleeing through the desert six years ago, is understood to have confirmed to a local journalist that Saif was freed yesterday and had quit Zintan. Read more. The latest ultrasonic inspections have detected a substantial number of new micro cracks in nuclear reactors at the Tihange and Doel power plants in Belgium since the last study conducted three years ago, Belgian and German media report. At least 70 additional cracks were uncovered at the Tihange 2 nuclear reactor during an ultrasonic inspection in April of this year, Belga news agency reports. Some 300 new flaws have also allegedly been discovered at the Doel 3 reactor tank during a check last November, according to tagesschau.de. Read more. Sheikh Mohammed bin Abdulrahman Al Thani said only dialogue will solve the dispute that's dividing the Gulf. But Washington's role as mediator is in question. Al Jazeera’s as Andrew Simmons explains. The often-controversial munitions are common in western militaries and are used primarily to create smoke screens, though they can also be dropped as an incendiary weapon. Read more. The autonomous region of Catalonia will have the decisive referendum on secession from Spain on October 1, the regional government announced on Friday. The move comes after a months-long standoff with Madrid, which decries the vote as illegal. With its outing of an anonymous NSA source, online publication The Intercept is finding itself in hot water. The publication was also involved in the prosecution of CIA-whistleblower John Kiriakou. Long having built its reputation on reports derived from classified information provided to them by leakers, The Intercept now finds itself in the unpleasant position of having burned – or outed – one of its anonymous sources. Read more. Greece’s economic woes continue to pile up, with key public utilities such as water now on the chopping block of privatization. But activists like Maria Kanellopoulou are working to spread awareness of this issue and prevent Greek water from being put into private hands. GREECE — In May 2016, the SYRIZA-led Greek government passed a new comprehensive set of economic austerity policies in exchange for receiving new loans that are intended to keep the country’s fragile economy afloat. Read more. The Iranian army's elite unit says Islamic State's involvement in twin attacks that killed 12 in the country's capital, means Saudi Arabia is linked to the terror acts. Saudi Arabia's Foreign Minister denies any involvement in the twin attacks. Read more. Iran’s Parliament (Majlis) and the mausoleum of the late founder of the Islamic Republic Imam Khomeini in the capital Tehran have come under terrorist attacks. According to reports, a dozen people have been killed in Wednesday's attacks while another 42 have been injured and admitted to 3 hospitals to receive treatment. Read more + video. Foreign Minister Sigmar Gabriel has accused the US president of stirring up conflicts in the Middle East and risking a new arms race as Qatar's neighbors cut diplomatic ties. Saudi's foreign minister is visiting Berlin. Gabriel told Germany's Handelsblatt business newspaper that what he termed a "Trumpization" of interactions in the already crisis-shaken Middle East region was extremely dangerous. Read more. Germany is prepared to move its troops from the Incirlik base in Turkey to Jordan after Ankara denied German lawmakers a visit to the military airport over Berlin’s refusal to extradite the alleged suspects in last year’s failed coup attempt. Read more. Visiting Geneva, US envoy Nikki Haley has slammed the makeup of the UN human rights council and its "anti-Israel bias." She also threatened US withdrawal if the council failed to rid itself of abusive regimes. 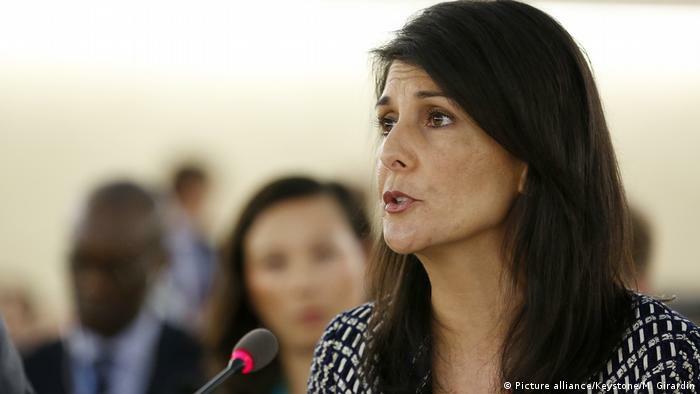 Haley delivered twin addresses Tuesday, first telling the council that violator nations should not be allowed seats, and then a university audience that the US could advance human rights outside the body "if it fails to change." Read more. 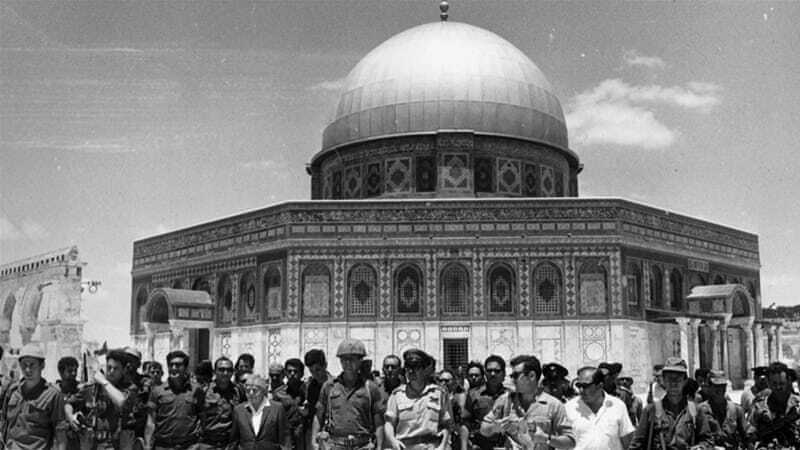 In a war with Egypt, Jordan and Syria, known as the 1967 War, or the June War, Israel delivered what came to be known as the "Naksa", meaning setback or defeat, to the armies of the neighbouring Arab countries, and to the Palestinians who lost all what remained of their homeland. Read more. The Gulf has been hit by its biggest diplomatic crisis in years after Arab nations including Saudi Arabia, the United Arab Emirates, Egypt and Bahrain cut ties with Qatar, accusing it of destabilising the region with its support for Islamist groups. Read more. Human trafficking is a hidden industry that brings in $150 billion in illegal profits every year. In the United States, tens of thousands are trafficked annually—the biggest clients being major hotel chains and foreign diplomats. The Philippines is one of the largest labor exporters in the world. 6,000 Filipinos—mostly women—leave the country every single day to work, because of mass unemployment and poverty. Tricked by placement agencies, thousands end up living as virtual slaves. Damayan, a New York-based organization led by Filipina domestic workers, is fighting this underground crisis. Abby Martin speaks to several members of the organization about how this exodus of women has devastated a generation of families, and how they are fighting back. The U.S. is considering sanctions against the country’s oil sector, while its right-wing opposition has declared an “economic war” against it. The Trump administration is debating imposing sanctions on Venezuela’s oil sector, while Washington has raised “concern” about U.S. firms giving a “financial lifeline” to the South American nation. Read more. Two years after his election in 2006, Morales ordered the closing of the DEA's office in La Paz and the U.S. military base in Chimore. 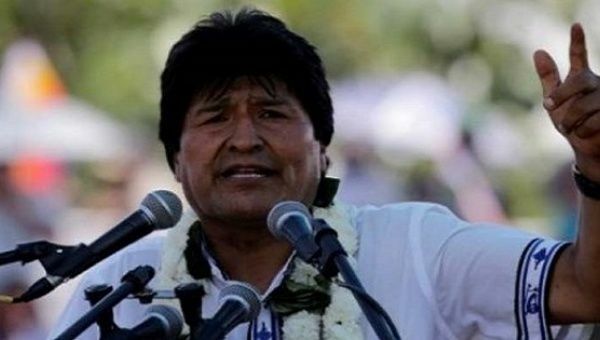 President Evo Morales recalled today that the expulsion of the U.S. Drug Enforcement Agency and the U.S. military base allowed Bolivia to recover economic and political sovereignty. Read more + video. Richard Seymour reviews how the UK media covered the suicide bombing at a pop concert in Manchester. The infamous Bilderberg Group is meeting this week, this time in Chantille, Virginia. The secretive international group (which has included royalty, bankers and assorted global elites) has convened for arcane conversations and what protesters maintain is conspiratorial plotting on an annual basis since 1954. They use their own security and do not admit journalists. Legal and media analyst Lionel of Lionel Media joins RT America’s Manila Chan to offer his analysis. 'Going Underground' speaks to legendary filmmaker and journalist, John Pilger about MI6's connection to the Libya-Manchester atrocity ahead of tomorrow's Arianna Grande's benefit gig for those affected by the Manchester attack. Whitney Webb - “The real danger lies in whether the Christian world loses the last early Christians...the last ancient souls of the earth.” Such is the dire prediction by one writer regarding the ongoing exodus of Arab Christians from the Middle East - an exodus triggered by Western neo-colonialism and Zionist expansion that suits the military-industrial complex. WASHINGTON, D.C.– In the United States, religion is a major part of public life – so much so that it often finds its way into politics. At the national level of politics, it has historically been difficult to win an election, particularly at the national or state level, if one follows a faith not shared by the vast majority of religious Americans: Christianity. Read more + video. One of the most important contracts that have been signed during the SPIEF 2017 is an agreement between Russian oil giant Rosneft and the Kurdistan Regional Government in northern Iraq. The deal is estimated at over one billion dollars and is set to last 20 years. It will involve the joint exploration and development of five oil fields in Iraq's Kurdistan. And Rosneft will get access to a key regional pipeline. However, not everyone might be happy with the deal. Here's Jacqueline Vouga with more.... Read more. Contaminated vaccines in a rural village in South Sudan killed 15 children last month and endangered dozens more, according to a statement from the World Health Organization, Unicef and the health ministry of South Sudan. In the remote village of Nachodokopele in southeastern South Sudan, the same syringe was used on multiple people for four days straight. The vaccines were not stored in a cool place, as they should have been, the statement said. Read more. Who is the Richest person in the world? Do you really think your government controls everything? How Rothschild became the richest family in the world? In this documentary video you will the all about Rothschild Family and his biography. A long-awaited cooperation deal between Ukraine and the European Union, known as the Association Agreement, has been finally approved after the last remaining EU state the Netherlands ratified the agreement. Now Ukraine is poised to improve ties with Western Europe. But its traditional partner Russia says the shift won't benefit the ex-Soviet republic as expected. FRANCE’S NEW ENVIRONMENT minister, Nicolas Hulot, does not mince words when it comes to the possible consequences of Donald Trump pulling the United States out of the Paris climate accord. Such an act, Hulot said in March, when Trump first signaled that he might withdraw from the agreement to limit carbon emissions, would be “a veritable middle finger to our children,” and could even expose the American president one day to charges of “crimes against humanity.” Read more + video. Many of the world's most powerful people are gathering for the annual meeting of the mysterious Bilderberg Group this week. Russia, the Trump administration and ‘The war on information’ are among key topics up for discussion. This year’s gathering takes place in Chantilly, Virginia, less than 30 miles from the White House, and goings on in the Oval Office are top of the agenda for the 131 people who’ve confirmed they’re attending. Read more.